$27.202 million on 3525 screens. 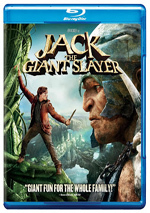 Continuing the recent – and somewhat perplexing – trend of “old fairy tales made into modern action movies” comes 2013’s Jack the Giant Slayer. Based loosely on Jack and the Beanstalk and Jack the Giant Killer, we meet Jack (Michael Self), a peasant boy who finds himself fascinated by a folk tale about evil giants and a brave king who defeats them. In the meantime, young Princess Isabelle (Sydney Rawson) delights in the same story. From there we leap forward 10 years to meet Jack as a young adult (Nicholas Hoult). He plans to sell a horse to help support a farm owned by his uncle (Christopher Fairbank) but he gets distracted by a mix of elements including the sight of the beautiful Isabelle (Eleanor Tomlinson). He leaps to defend her from ruffians but becomes unneeded when the princess’s guard Elmont (Ewan McGregor) arrives to rescue her. Isabelle’s father King Brahmwell (Ian McShane) intends to have her marry slimy Lord Roderick (Stanley Tucci) but she longs to go free and explore the kingdom. Matters complicate when a monk named Brother Abel (Simon Lowe) steals some magic relics from the castle. He needs to escape and tries to buy Jack’s horse; because he lacks cash, he offers them as collateral and instructs Jack to return them to the abbey, where he’ll get paid. Jack thinks they’re just beans but Abel promises that they do much more. Despite Abel’s Gremlins-esque warning not to get the beans wet, one of them falls under floorboards and it becomes moistened by rain water that leaks through the roof. This creates a huge beanstalk that carries aloft his uncle’s cottage, with Isabelle - a recent escapee from the castle – inside of it. Along with Roderick and Elmont, Jack participates in a rescue party to climb the beanstalk and save the princess from the inevitable giants. One assumes the last sentence doesn’t enter spoiler territory because I don’t think I can ruin a movie called Jack the Giant Slayer if I reveal that it involves giants – or slaying, for that matter. Virtually everyone who sees Jack will enter with a notion of what general story to expect; the potential fun comes from how the film will alter/play with the source. Among its genre mates, Hansel and Gretel: Witch Hunters clearly takes the most liberties. 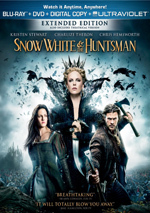 Jack more closely equates with Red Riding Hood and Snow White and the Huntsman: it uses many of the source story’s elements but definitely goes its own way. That makes sense, as we don’t need another fairly literal take on the tale; we’ve seen many of those, so a simple retelling would probably bore. I do appreciate the efforts to broaden the original, and some of the alterations work pretty well. This certainly becomes a more epic tale, and it occasionally delivers spectacle and entertainment value. So why do I feel mildly disappointed by the result? Although it veers from the source story, I don’t think Jack shows a ton of creativity and vivacity. At times it feels like a game of “Spot the Influence” – a little Star Wars here, a little Jurassic Park there, and a lot of Disney all over the place. These give Jack a derivative feel and ensure that it never quite finds its own personality. The cast and characters don’t help, and in particular, the leads leave the hollow spot at its center. While neither Hoult nor Tomlinson provide bad performances, I can’t claim that either adds anything. They lack much charisma and create an attractive but bland couple. As for the supporting actors, McGregor and Tucci offer a little spark but not enough to bolster the film. Though they don’t seem especially invested in their parts, at least they give the movie a bit more pizzazz than the leads. One major problem stems from the flick’s unconvincing digital effects. At no point do the giants ever look even vaguely realistic, as they all show an artificial, clay-like appearance that creates a distraction. As far as effects have come over the decades, some of the “improvements” feel like regressions to me. 30 years ago, we fully believed a squishy little puppet was an extraterrestrial, and darn if ET doesn’t still create a convincing illusion of life. So why can’t 21st Century effects artists deliver giants who look organic? Perhaps they can but simply don’t in this case; maybe the fault lies not with the technology but with its execution. Whatever the situation may be, the giants of Jack look terrible and actively take the viewer out of the film. Despite that obstacle, Jack still provides a sporadically entertaining action flick – it just doesn’t give us one with much creativity or personality. Even with the unconvincing effects, the film keeps us mildly involved; it just never elevates above that level. Jack the Giant Slayer appears in an aspect ratio of approximately 2.40:1 on this Blu-Ray Disc. Across the board, the movie boasted a terrific transfer. Sharpness excelled. Virtually no softness materialized here, as the film was consistently tight and accurate I noticed no shimmering or jaggies, and edge haloes failed to appear. Print flaws also weren’t a factor in this clean presentation. Scenes in the kingdom opted for an amber palette, while those in the giant realm tended to be more desaturated and blue-gray. These choices limited the color range, but I thought the hues looked solid given those decisions. Blacks were deep and dense, and shadows showed clear definition; low-light and nighttime shots offered positive visuals. This was the kind of strong image one would expect from a brand-new big-budget studio effort. I felt the same about the lively DTS-HD MA 5.1 soundtrack of Jack. I’d expect lots of action from a movie about giants and battles and that’s what I found. From start to finish, the movie used all five channels as effective partners. Music filled the spectrum in a satisfying way, and effects demonstrated strong breadth. Jack certainly gave the audio plenty of opportunities to excel, and it delivered. With plenty of creatures, fights and similar elements, these all added pep to the film. The components showed fine localization and blending; everything came from the correct spot and the pieces fit together in a smooth way. Audio quality lived up to the standards of the soundfield. Music was bold and bright, and speech seemed concise and crisp. Effects demonstrated terrific range; highs appeared tight, and lows seemed deep and full. Bass response added a real kick and gave the movie great power. Everything worked here and this became a dynamic sound experience. Jack skimps on extras. The main attraction comes from an interactive feature called Become a Giant Slayer. Hosted by actor Nicholas Hoult, this requires you to click left, right, up or down to navigate a beanstalk. When you land on a step, you can access a few featurettes. I found six in all with a total of 25 minutes, 29 seconds – I guess. The format means that you’d have to go through the game multiple times to make sure you didn’t miss anything, but I found it too annoying to do so. The set-up just makes it a chore to watch some short featurettes; I prefer when disc designers don’t get cute and they just present programs in an easily accessible fashion. Across the six featurettes, we hear from director Bryan Singer, digital effects supervisor Eric Adrian Fernandes, visual effects supervisor Stephen L. Rosenbaum, producer Patrick McCormick, costume designer Joanna Johnston, animation supervisor Jan Philip Cramer, set decorator Richard Roberts, special effects supervisor Dominic Tuohy, and actors Hoult, Bill Nighy, Eleanor Tomlinson, Ewan McGregor, Stanley Tucci, and Eddie Marsan. These programs cover the design of the giants and their execution via computer imaging, costumes, action sequences, sets, cast and performances, and various effects. We also get a deleted scene in which young Jack dreams of King Erik; he also loses his parents and ends up with his uncle. 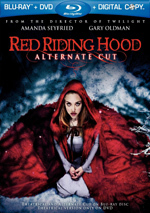 Though short, the featurettes all add value. They give us lots of good tidbits and move at a nice pace it’s unfortunate that we must grind through an annoying interface to get to them, though. Five Deletred Scenes fill a total of eight minutes, 27 seconds. The most significant offers an alternate version of the legend told at the film’s start, while the next two show Jack as he explores more of Gantua on his own. The fourth gives us a comedic bit with the kings’ guards, and the last lets Jack’s uncle reappear toward the movie’s end. The alternate opening is the most interesting of the bunch, but it’s not especially involving, and the others tend to be forgettable. Finally, we get a three-minute, nine-second Gag Reel. It shows a standard array of silliness and goof-ups. Don’t expect anything out of the ordinary here. A second disc delivers a DVD copy of Jack. This includes the gag reel and the deleted scenes. At times Jack the Giant Slayer becomes a decent action flick, but it doesn’t ever become better than average, and a variety of flaws keep it from anything more than that. It’s a passable diversion and that’s about it. The Blu-ray boasts excellent picture and audio but disappoints in terms of supplements. As a Blu-ray, Jack offers demo material; as a movie, it’s mediocre.